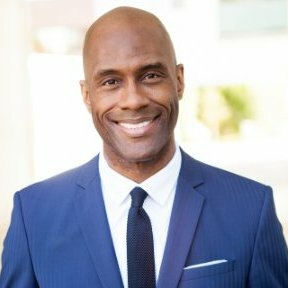 Rodney Walker is the President of Grant Central USA and is a highly sought-after, Grant Development Systems™ expert that helps thousands of organizations nationwide to get funded! With over 14,000 members in his online discussion group, he influences and inspires people to do a better job of telling their organizational stories to become more attractive to funders. A few of his clients have included United Way, Habitat for Humanity, The Magic Johnson Foundation, the Bush Foundation, Hawaii State Teachers Association, and numerous school districts and city governments. Other celebrity clients have included, Danny Glover and Ben Guillory. Rodney has spoken and taught at several prestigious institutions including, Regis University, Oklahoma University, University of Nevada in Las Vegas, California Polytechnic State University, Florida Atlantic University and the University of Hawaii. He earned a Master of Business Administration and has a certificate in Nonprofit Management from Duke University. He completed his undergraduate studies at the University of Texas in Austin and has a leadership certificate from the University of Southern California. His works with schools and communities have garnered him awards and congressional recognition. During his free-time, Rodney enjoys traveling, listening to live music, salsa dancing, and going for adventure rides with his roof top down throughout the greater Los Angeles area where he resides in Pasadena, California.